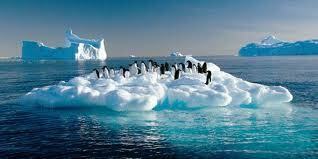 Lake Ellsworth in the Antarctic has been isolated from the rest of the world for at least 100,000 years. With the temperature at a balmy midsummer -17C, drilling has started inAntarctica in an attempt to find evidence of life under a sheet of ice two miles (over 3km) thick. The scientists and engineers from the British Antarctic Survey (BAS) hope to find signs of life in the pitch black, intensely cold, nutrient poor, and pristine waters of Lake Ellsworth, which lies deep below sea level and has been isolated from the rest of the world for at least 100,000 years, but probably much longer. By the weekend sediment and water samples may tell them if life on Earth is possible in such extreme conditions – and they will be just as interested if they learn it is not, and that they have found the limits of life. "We are about to explore the unknown and I am very excited that our mission will advance our scientific understanding of Antarctica`s hidden world," said Prof Martin Siegert from the University of Bristol. "Right now we are working round the clock in a cold, demanding and extreme location – it`s testing our own personal endurance, but it is entirely worth it." The scientists started drilling a little late, but at this time of year have unlimited daylight to work in. The programme manager, Chris Hill, spent the day shovelling snow to fill the three tanks, each holding 30,000 litres and heated to 90C, which they need to operate the drill. The preparatory work began on Monday 09 December 2012, using sterilised hot water to hollow out a cavity 300 metres down in the ice, accessed by two bore holes. One hole will be used to pump in or remove water to create pressure in the other hole equalling the pressure of the lake far below, and stop either water from the lake rising, or drilling water spilling down into it. Once they have got through to the lake level, using the specially designed high pressure hot water drill, a process expected to take three days, they will have just 24 hours to retrieve water and sediment samples, using a titanium probe and a sediment corer – also specially designed to work in such extreme conditions – before their drill holes freeze over again. The temperature has ranged between -15C and -20C, but wind chill on Wednesday made it feel like -27C. "This is a huge, but delicate operation," said the lead hot-water drilling engineer, Andy Tait from the BAS. "Although hot-water drilling technology has been used extensively by scientists in the past, this is the first time we`ve ever attempted to go through 3km of solid ice – this will be the deepest borehole ever made this way." The probe, designed and built at the National Oceanography Centre in Southampton, is five metres long, and has more than 3,000 individual components. The sediment corer, designed and built by BAS and Durham University, in partnership with the Australian firm UWITEC, can remove a plug up to three metres long. The scientists are taking elaborate precautions to avoid contaminating the site. All the equipment, 100 tonnes altogether, has been transported in sterile packaging, and is being sterilised again using a four-stage chemical wash, and hydrogen peroxide vapour. The water is being treated in a four-stage filtration system, and finally with UV light. The lake, like hundreds of others in Antarctica, was formed when heat from the planet`s interior melted the base of the glacier.